18th August, Miao: The Feast of Assumption of Mother Mary and India’s 67th Independence Day was celebrated on 15th August throughout the whole Diocese of Miao. 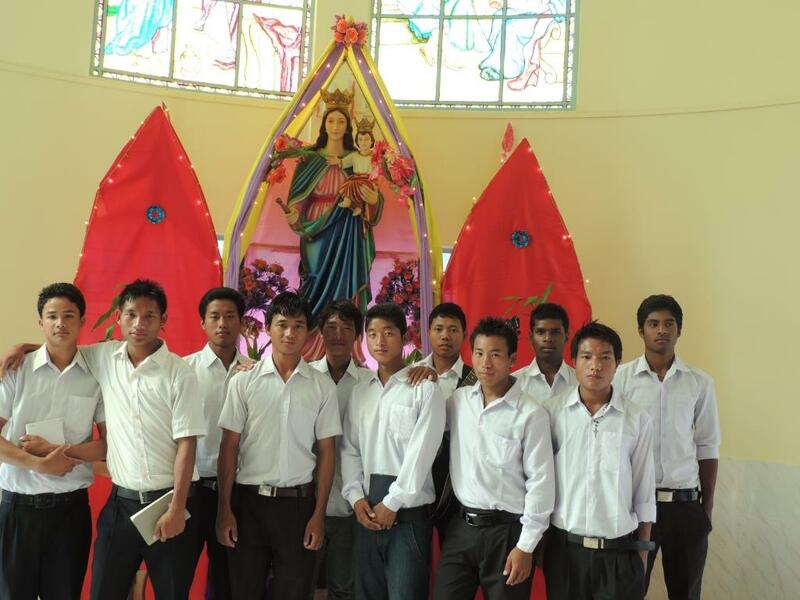 In Miao , the Minor Seminarians at Kristu Jyothi Seminary made sure that the day is marked with celebrations in their chronicles. Fr. C C Jose, the Rector of the Seminary officiated the Holy Mass on this day and explained to the students the important role played by Mother Mary in God’s plan of Salvation for all mankind. “Mary’s Assumption that we celebrate today is an example of the holiness of life that God has gifted each one of us with”, he said. The Seminarians, after the Mass, gathered outside the Church for Falg Hoisting to celebrate the Independence Day. They spent the day in singing and a lot of group games. The day was marked with celebration in every part of the Diocese.